The video interface is located under the Video tab in the main user interface area. The Live Video panel controls the current video format, and the two HDSDI live video inputs. 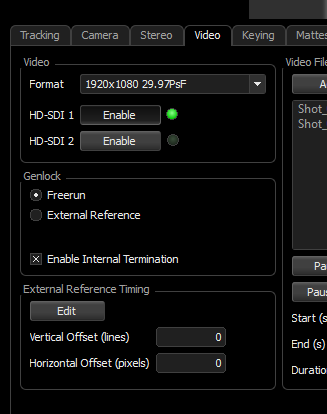 To use the second HD-SDI input, HS-SDI 2 requires HD-SDI 1 to be enabled to read incoming video. To enable live video input in Previzion, simply click the Enable button next to the corresponding input (HD-SDI 1 or HD-SDI2). When the green light next to Enable is lit, it indicates that a video input has been detect and is ready to be used. 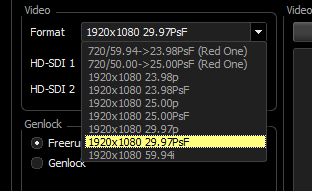 If no video is present at the HDSDI inputs, the green light will not go on when HD-SDI 1 is enabled, and the output frame rate will stutter. 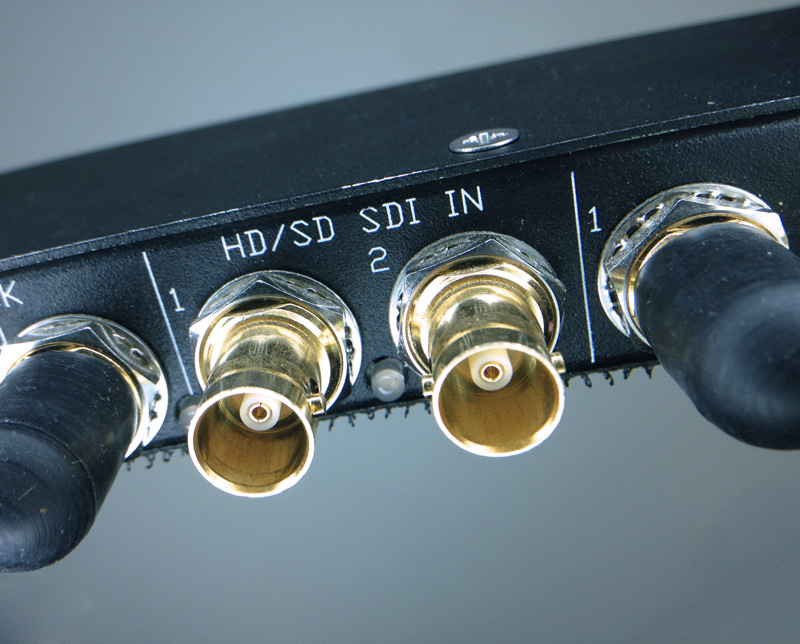 The HD-SDI 1 and HD-SDI 2 buttons control the 2 live HDSDI inputs to the system. When Input 1 is the main input that is sent to the keying and compositing pipeline, and must be enabled to start the live input system. If the frame rate selected does not match the incoming serial data rates, the mismatch will cause tracking problems, and will be indicated by flashing red lights in the Tracking interface.